India's defence forces lacks basic equipment such as ammunition, bullet-proof jackets and vehicles, as much as they lack warplanes, submarines and artillery guns, revealed discussion at a parliamentary panel meeting on Monday, where lawmakers attacked the defence ministry for its "failure" to meet the armed forces' requirements. An MP apparently even said that the Defence Research and Development Organisation ".has not been able to make a pistol properly but takes away thousands of crore every year in budget." During the meeting which was also attended by the defence secretary and two other senior ministry officials, senior army, air force and naval officials told the standing committee on defence that India is lagging "far behind" its neighbours in terms of defence capabilities, according to the Hindustan Times. The army said it didn't have "enough ammunition to fire" and that vehicles are in short supply. India also needs to modernise its equipment to match the latest defence technology purchased China and Pakistan. An Indian Air Force officer said that India is short of fighter planes. He said that against the "desirable strength" of 42 squadrons that can fight a combined threat from Pakistan and China, the force has just 33 squadrons. MPs at the meeting lambasted ministry officials' "dillydallying" decisions that are out of sync with the needs of the forces. 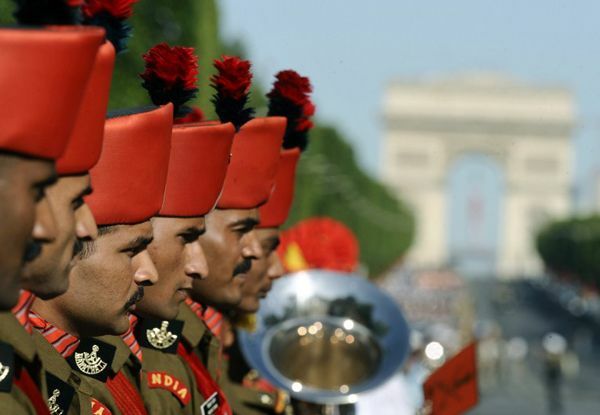 The government wants to spend Rs 2.58 lakh crore on defence this financial year, a hike of 9.7 per cent over last year's revised estimates, but this too may not be enough to modernise the military, say experts. New fighter planes, helicopters, missiles and artillery guns must be purchased and next-generation submarines must be built if the military is to be truly modern.